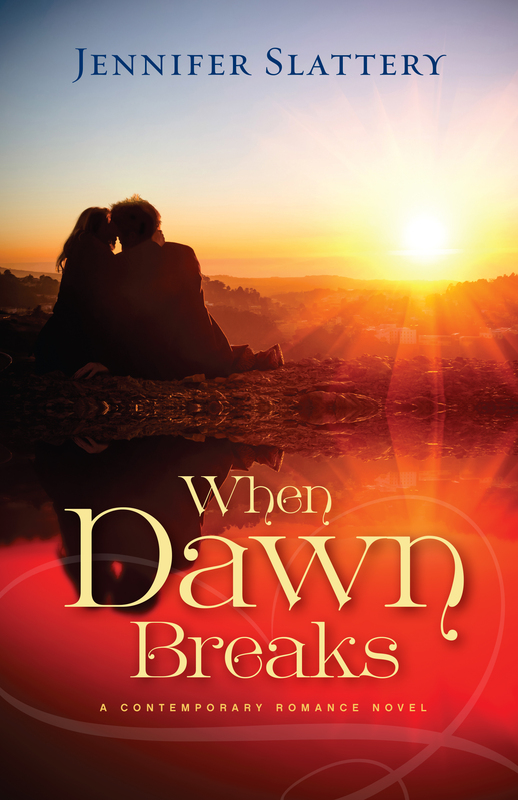 Today’s special guest is Jennifer Slattery, the author of When Dawn Breaks. 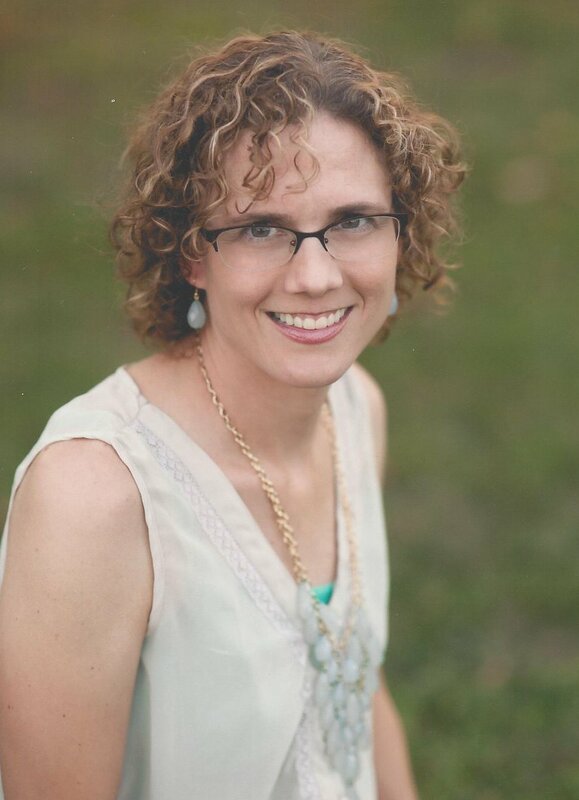 Jennifer writes soul-stirring fiction for New Hope Publishers, a publishing house passionate about bringing God’s healing grace and truth to the hopeless. She also writes for Crosswalk.com, Internet Café Devotions, and the group blog, Faith-filled Friends. When not writing, Jennifer loves going on mall dates with her teenage daughter and coffee dates with her handsome railroader husband. Jennifer, thank you for visiting with us again. I truly enjoyed the novel. I got wrapped up into the lives of these characters. I kept rooting for them, and I laughed and cried through the ups and downs. So, my first question that I want to know is: how did this story take shape for you? I’m so glad you enjoyed the book, Fay. Having learned under you in Scribes for years, that means a lot. In regard to your question, much of it just flowed. I felt most drawn and connected with Gavin, but I loved Jacqueline and Jonathan, too. I knew I was introducing my readers to some tough realities, so I felt I really needed a lot of humor sprinkled throughout, to give them comic relief. Then I found I loved those comedic threads as much as the heart-wrenching portions. Is there a Jacqueline Dunn or a Jonathan Cohen, maybe a child who resembles Gavin, Adele, or Jaya in your life? If not, how did you manage to draw such believable and heartwarming characters? Yes to all of those. J If only I had the page space to expound on each character. I have always struggled with feeling loved—receiving love, so I really related to Gavin’s feelings of being unwanted. He so longed to belong, to hold tight to those relationships he had, and really, to be loved. But it seemed what he needed most kept evading him, and he was powerless to do anything about it. And yet, God continued to pursue him, through His children. When I became an adult, after ten years of extensive healing by Christ, I looked back over my life and I could see how God had reached out to me, again and again, through others. The neighbor who invited me in for Vacation Bible School, the family that showed me kindness when ours came over for barbecues and such. The blind neighbor who allowed me to help her take out the trash then used that initial connection to form a relationship with me, one that resulted in me coming to her house daily in my elementary years. Or the numerous families that took me in, when I was a teen, when I felt hopeless and alone. Though I felt incredible pain from things in my past, I saw that God had never left me. He was the truest, most faithful love I’d ever known. This is the love I wanted to show, but I also wanted to show how God reveals that love through us, His body. Which is an incredible honor and responsibility—to think God trusts us with a wounded heart. Wow. Well, I know a lot of folks who love you for who you are today and the kindnesses you show to them. I’m guessing that either you know about foster care or you did a great deal of research. If a reader wanted to know how they could get involved, even if it is just volunteering and not fostering children—but certainly that as well—what would you tell them are some of the steps they can take to reach out to children in this type of system? My sister has worked in the foster care industry for some time, first as a social worker and now as an in-home therapist, so I’ve learned a great deal about the needs and the miracle stories. (She also helped me a great deal with this novel!) There are so many ways people can become involved. They can foster, providing a loving, Christ-filled, and safe environment for these hurting children. They can foster to adopt, which is incredibly beautiful and a huge part of breaking the cycle of generational abuse and poverty. They can be a support for friends who do foster care, which is hugely needed! They can become licensed to do respite care, which provides periodic breaks for those doing foster care, enabling them to stay fueled emotionally, physically, and spiritually. They can help spread the word, start a support group in their church, get involved in CASA, an organization that pairs adult advocates with foster children so the children have a stable relationship in their life throughout all the changes and moves they might go through. I have to ask a hurricane question because I’m a student of hurricane history. Have you ever lived in a hurricane-prone area or have you ever had first-hand experience with a hurricane? If so, would you share? If not, I’d love to know about your research—just because the subject fascinates me. The storm victims could come, get what they needed, without having to ask. This was huge as these people were already devastated, completely humbled, so this allowed them to retain some sort of dignity. Our library was also packed each day. People sat on the ground, on chairs, waited behind computers, etc. Many were trying to find out FEMA and insurance stuff. I suspect others simply wanted a place to spend the day. I went, and noticed the empty—like so broken, there was nothing there—look on many of the parents’ faces, so I began to read to the kids, to give the parents a break and the kids a bit of joy. I still remember the look on one dad’s face when his daughter came to my side—it was teary gratitude. I believe he was grateful to have someone helping out with his child at a time when, emotionally, he couldn’t do that. While researching, I read a great deal about what went on at the Superdome. Wow, that was bad. Wow! I’m glad I asked. That’s an awesome testimony that you and your church have, and I can see where God used that time to teach you things that you could share about others regarding emergency shelters and the needs of those there. I have never gone through a Katrina, and the Lord willing, I don’t plan to do so. And as always, I’d love to know what your next project will be. Absolutely! How about if I give you the preliminary back cover blurb? Abandoned by her husband, an organ procurement coordinator fighting to keep her job and her sanity encounters an old flame facing an unthinkable tragedy. For Tammy Kuhn, being an organ procurement coordinator is more than a job. It’s a ministry. But when her husband of sixteen years leaves her for another woman, struggles with childcare, her absentee ex-husband, and an altercation with a doctor threaten her job. 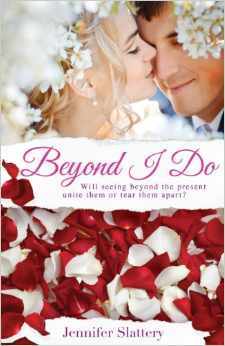 Embittered and overwhelmed, she fights to maintain her sanity when a late night encounter with an old flame stirs emotions long since buried but the ICU is no place for romance. This novel is scheduled to release in October. Thanks so much for having me, Fay! I always love visiting your site! I love having you, Jennifer. Your friendship and watching your career is one of the joys of my life, and I hope that you will come back and visit us for the release of this next novel. 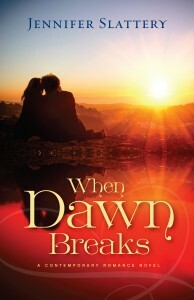 When Dawn Breaks is also available at Barnes and Noble and Christian Book Distributors.